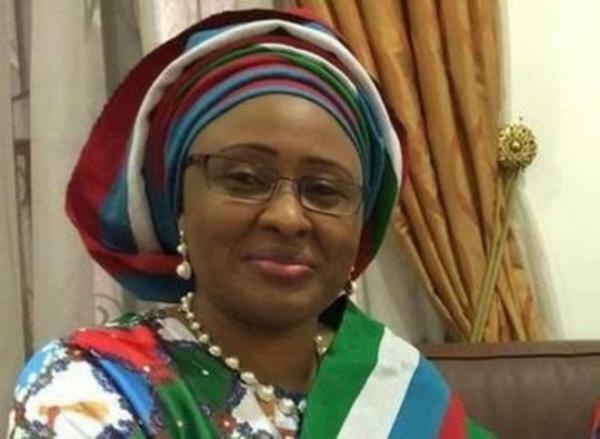 Wife of President Muhammadu Buhari, Hajiya Aisha Muhammadu Buhari, has appealed to leadership of Nigeria Army to ensure prompt payment of entitlements to family of soldiers who lost their lives in the fight against Boko Haram insurgency in the North-east. The First Lady, who stated this yesterday during a courtesy visit to the 44 Army Reference Hospital in Kaduna to see soldiers on admission who sustained varying degrees of injuries in their quest to end insurgency and terrorism in the country. Hajia Aisha Buhari, who was accompanied by the President of the Nigerian Army Officers Wives Association (NAOWA), Umma Kalsum Tukur Buratai, took her time to visit all the wards where the wounded soldiers were admitted, encouraging and praying to God for their speedy recovery. She commended the wounded soldiers for their bravery in the discharge of their mandate and doggedness to maintain law and order in the troubled North-east and other troubled parts of the country, assuring them that the efforts will not go unrewarded. According to her, “I want to urge the Nigerian Army to hasten in paying the benefits of the deceased soldiers as a way of providing succor to their families”. She observed that from what she saw after visiting the various wards where the wounded soldiers are been treated, they are being well taken care of by the government, which she commended. Media were disallowed into the wards where the wounded soldiers were receiving treatment, making difficult to ascertained their health status and their actual figures.